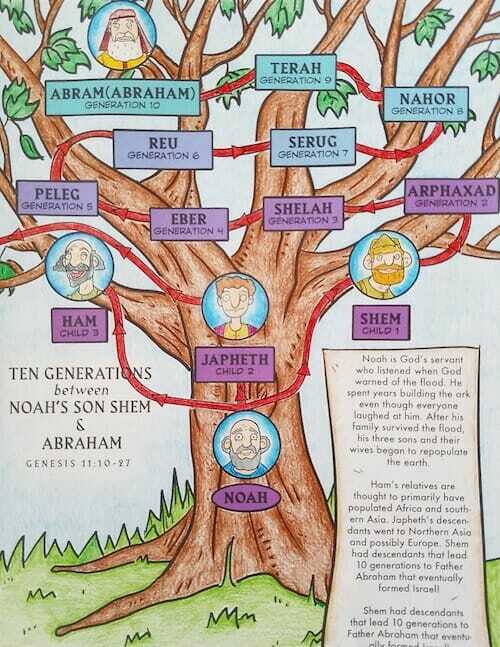 Kids Need to Know About Abraham! How many of us could leave behind everything that we know to go to a place that we know nothing about? Yet that is exactly what Abraham did. That is why there are few better ways to learn how to live a life of faith than by studying his life. From him leaving ‘his country, his people and his father’s household’ in Haran to the birth of his son, Isaac, Abraham’s life shows what can be accomplished through faith. But Abraham was not perfect, he made mistakes as well. His lapses in faith are stark reminders of the folly of trying to take matters into our own hands. We cannot fulfill the will of God in our own strength, we must rely upon Him. That is an important lesson for everyone, especially children, to learn today. Our new lesson pack focuses on the life of Abraham so that kids today can learn the amazing things that can be accomplished when we place our faith and hope in the promises of God … just like Abraham did. By following Abraham’s example, kids can begin to live the types of lives that lead to blessings from God and that become shining examples to others. He played a pivotal role in the redemption story that culminated with Jesus’ birth. He was even referred to as “God’s Friend” in James 2:23 – a distinction no one else in the Bible receives. Clearly, there is much to learn from Abraham’s life. In this lesson pack, kids will discover the REAL man. They will learn his fascinating life story and how he faithfully obeyed God. In short, you get everything you need to teach kids about Abraham with confidence & ease! Each can be taught in 15-20 minutes. These lessons cover not only stories about Abraham, but some of the most influential pieces of his personality. 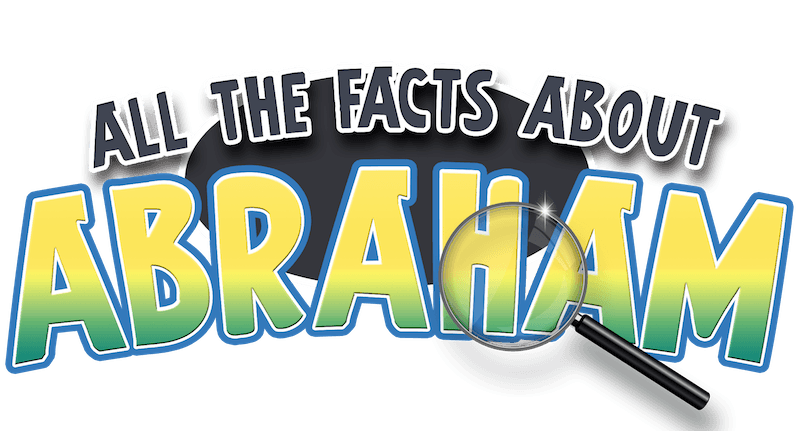 Each game teaches facts and scriptures about Abraham, as well as reinforces Abraham’s personality traits that should be emulated. Keep the kids learning (& out of trouble) before and after class with printable coloring & activity sheets! These are also great time fillers to have on hand if you suddenly need to fill 5-15 minutes. Just print off as many as you need! 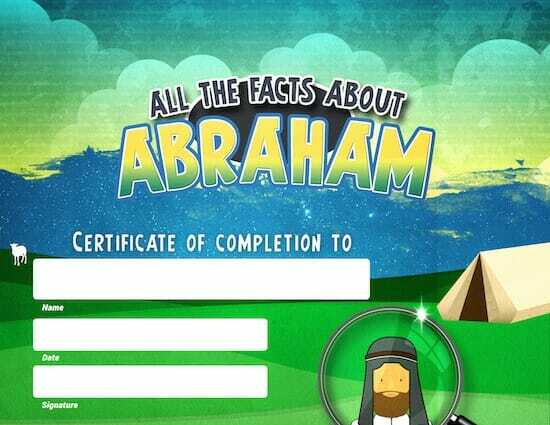 Use our printable 8.5 X 11 certificate to award students upon completion of the Abraham Lessons. 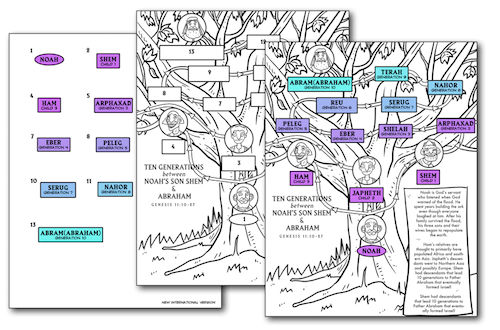 Biblical Genealogy is often a topic skipped over for children, but our printable "Noah to Abraham" activity helps open kids eyes to the family connections throughout the Bible! Simply print out our tree and have children cut and paste the names in their respective spots! 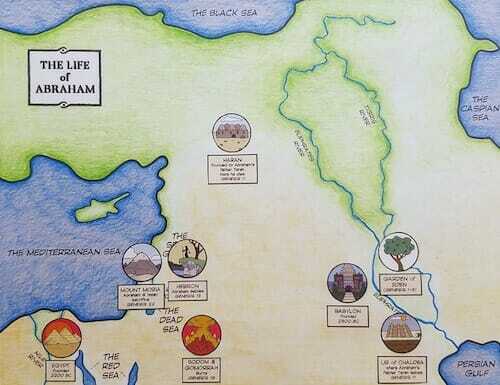 Our "Abraham Map" activity helps children understand the geography related to Abraham's life. Kids get to cut out key landmarks and paste them on a map to help reinforce where Abraham went, all while learning bout his faith's ebbs and flows. 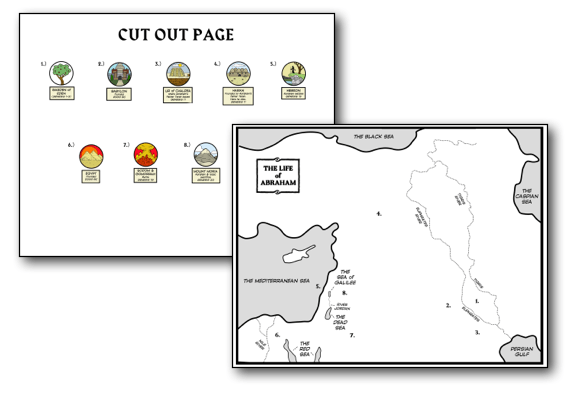 Family Trees, & Maps as You Need! 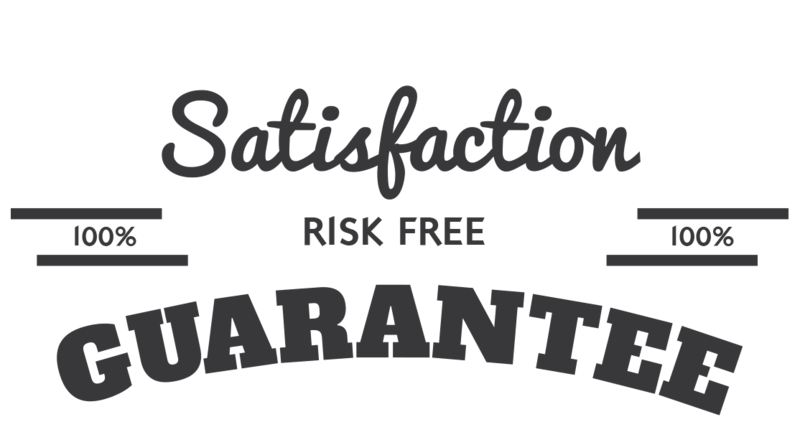 That’s right, we are so sure that you will love the All the Facts About Abraham Lesson Pack that we are offering an unconditional 100% money-back guarantee. It is not enough to be raised in a Christian home or to have parents and Sunday School teachers who are firm believers. Children must develop their own faith. A good example to follow is the life of Abraham. He was not perfect. He made mistakes. But he also demonstrated a strong faith in God. In fact, despite the mistakes that he made Abraham is held out as a model of faithful life in Hebrews. We must all remember that just as God was with Abraham even as he struggled he will also be with us – ready to forgive if we fail. The key is to live a life based on the truths of God. It’s the type of life Abraham lived and the type of life we can live, too. To teach your students to put their faith and hope in God – just like Abraham did – get your copy of this valuable lesson pack today. YES, I want in! 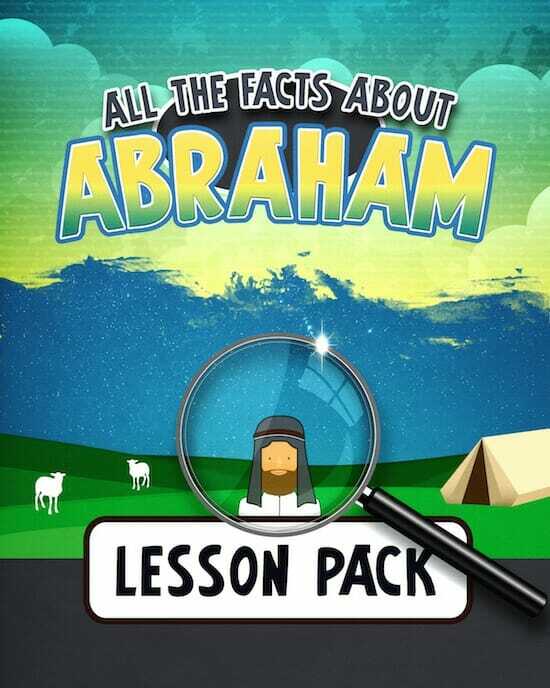 I want access to the "All the Facts About Abraham Lesson Pack". Please give me INSTANT access right now!